Laura Davenport, a widow, has been raising her step son on her own for the last four years. Now he is seventeen and wanting to live a life in London. So she reluctantly agrees, and they head to London. Only her son, is starting to act rebelliously, and deceiving her left and right. Then Andrew Carrington, the Earl of Bellingham, steps in to help her out. Andrew, is looking for a mistress, when he sees a beautiful and enticing woman at a ball, he knows he has to have her. Laura is everything he desires and more, even though he has never sought after her type. Sweet, caring, and full of passion that is hidden, and even though she is a Vicar’s daughter, he is drawn to her. When Laura’s son is threatened to be taken away, he agrees to a fake engagement, in order to protect her and her son. Soon he is taking measures that he would never do, but the ice around his heart starts to melt. 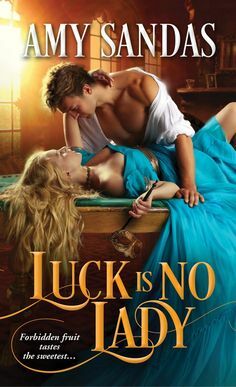 Even though he knows he can never marry her, he craves what could be, but is the love they share be enough to weather the storm ahead?What A Wicked Earl Wants is the first in the Sinful Scoundrel Series. This is also the first time I have had a chance to read from this author. And all I can say is WOWZERS!!! I am beyond impressed with this author already and this is the first chance I have had to read from her. When I started reading this, I wasn’t sure what to expect from this author. I tend to get a bit nervous when trying a new author, even with stellar reviews and ratings, I don’t know what to expect. But after a few chapters I was enthralled by this authors storytelling that captivated my attention from the beginning, and I was hard pressed to put this book down. The story begins with Laura and Andrew meeting at a ball, where they have a instant eye connection, and from then on they are connected physically at first. 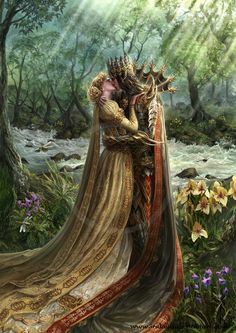 As the story progresses further, you see that intimate connection they have, goes further to the emotional bond that connects them without either character fully realizing it. The characters are endearing and magical and charming. Andrew, is a fine hero, I loved him from the beginning. He is a scoundrel and a rake, and loves all sorts of pleasure. But you also see signs that he has a past and not a good one. He protects his heart and emotions with a iron hand, and refuses to let anyone slip through let alone a small slip of a woman whose smile melts him and all of his reason. Laura is quite a fun heroine. I liked her immediately, even though she seemed a bit naive about her stepson behavior, but she is very passionate and strong willed, and I loved how she faces every situation with confidence and doesn’t shy away from the truth. She deal with Andrew quite admirably, doesn’t just jump into his bed because he kisses her senseless (which he does) but she doesn’t give in at the moment. She makes him work for it, and I enjoyed seeing this flirty dance these two were engaged in. Quite amusing at times. Andrew Carrington, the Earl of Bellingham, was on the hunt for a new mistress.